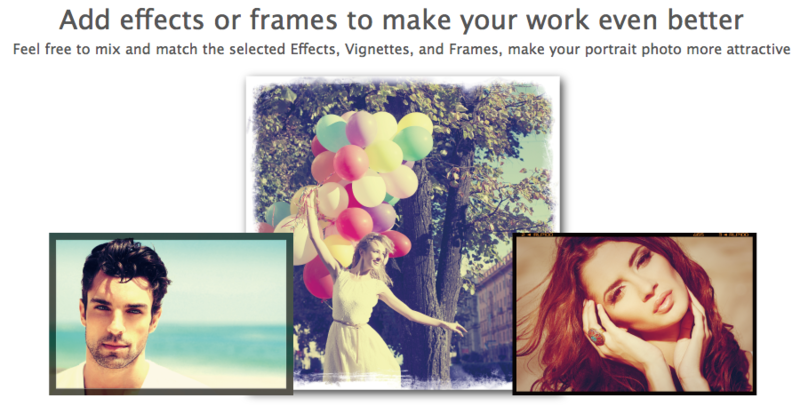 One of the Best Portrait Editing Softwares on the Market today! Automatically soften skin, reshape features, and remove imperfections naturally. Available for Windows (8/7/Vista/XP) or Mac (OS X 10.6 or Later). Limited time only – be quick to grab this awesome SnapnDeal! 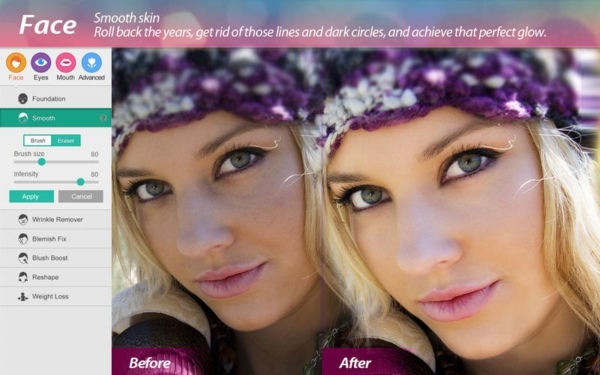 You can’t always look your best in every photo… When you need a touch-up, you don’t need to pay a makeup artist or learn Photoshop. 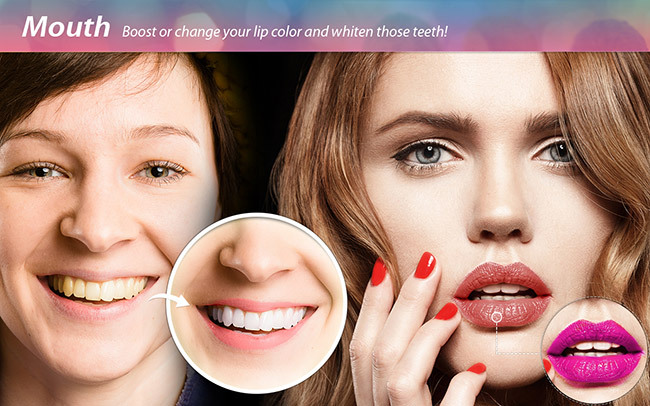 Do it yourself, quickly and easily, with Beautune and our complete makeover kit. 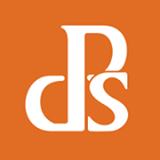 Our app has the best interface that will quickly let you share the best of you with the world! Use our complete make-up kit, along with smoothing and wrinkle removal tools to highlight everyone’s best features. And the ultimate reshaper lets you gently nudge features in the right direction. All these features and more, together with a beautiful, easy-to-use interface, will have you fixing and sharing your portraits in seconds. 1. 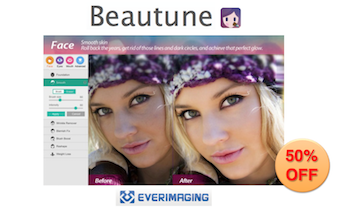 Click the BUY NOW button – you will be redirected to everimaging’s shopping cart. 2. Click the BUY NOW button for Windows (8/7/Vista/XP) or click this BUTTON for Mac (OS X 10.6 or Later). 3. Voila! You’ll get your 50% discount! For instant access to Beautune.